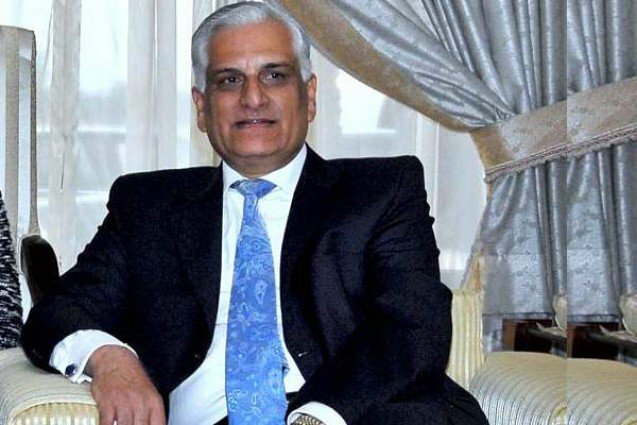 Pakistan's law minister Zahid Hamid has resigned, state media reported Monday, meeting a vital demand of Islamist protesters that have clashed violently with security forces and blockaded the capital Islamabad for many days. Hamid "has submitted his resignation to Prime Minister Shahid Khaqan Abbasi to assist the nation away from crisis," the state-run news agency Associated Press of Pakistan (APP) said in a report citing unnamed official sources, without giving further details. State television station PTV also reported the minister's resignation, without citing any sources. There wasn't any quick confirmation or comment from government officials. 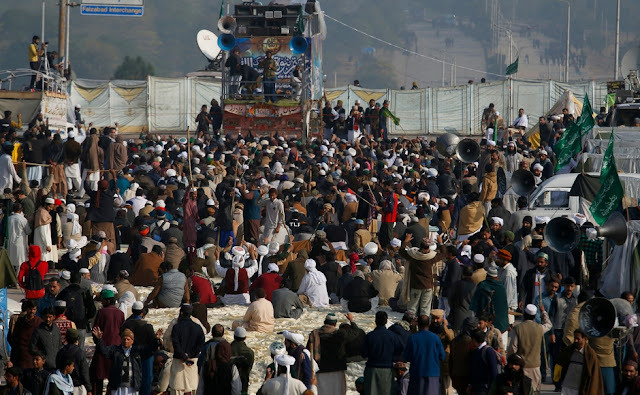 Hamid's resignation was a key demand of the little known Islamist group that has virtually paralyzed Islamabad since it began a sit-in on a major highway into the capital on November 6. The Tehreek-i-Labaik Ya Rasool Allah Pakistan (TLY) have been calling for Hamid's ousting for weeks over a hastily-abandoned amendment to the oath that election candidates must swear. The protesters have linked it to blasphemy -- a highly contentious issue in Muslim Pakistan that has often fuelled violence. On Saturday security forces attempted to clear the roughly 2,000 demonstrators at the sit-in in a botched operation that devolved into violence, with at least seven people killed and hundreds wounded before they were ordered to retreat. The clashes fuelled more protests in other cities, including Pakistan's two largest Karachi and Lahore, and saw thousands of more demonstrators arrive on the streets of Islamabad. The government called on the army to intervene to restore order late Saturday. By Monday morning there still had been no official response from the military. The reports of Hamid's resignation raised hopes that the protest leaders would end the sit-in, which has enraged commuters with hours-long traffic snarls, caused the death of at least one child whose ambulance could not reach the hospital in time, and infuriated the judiciary. Numbers were dwindling at the Islamabad protest site early Monday, with AFP reporters saying around 2,500 demonstrators remained. Leader Khadim Hussain Rizvi had not yet arrived as Hamid's resignation was reported. The minister's ousting is the latest in a series of heavy blows to the beleaguered Pakistan Muslim League (Nawaz) government as general elections approach in 2018. In July, former prime minister Nawaz Sharif was deposed by the courts over graft allegations, while finance minister Ishaq Dar -- also accused of corruption -- has taken indefinite medical leave.